Decorate your garden or pation with a Garden Arch which will provide shade and make an attractive feature in any size garden creating a focal point. Our extensive range of rustic, traditional and contemporary arches includes wooden and metal arches in many different sizes and styles. 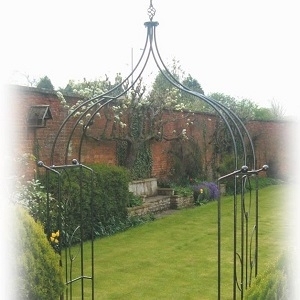 A wooden garden arch is ideal for your supporting your climbing plants such as roses, clematis, wisteria, vines etc. Take a look at our best-selling Zest4Leisure Horizon arch, the Grange Fencing Oakington Circle or for the smaller garden Forest Garden Berkeley Arch.